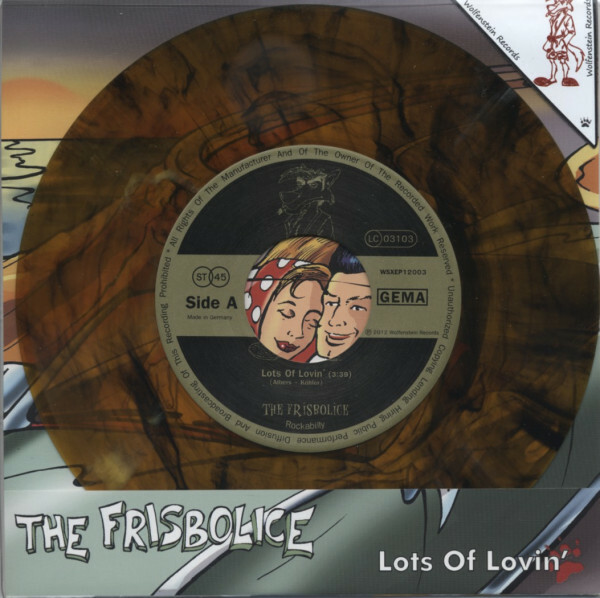 Frisbolice Lots Of Lovin' 7inch, 45rpm, EP, PS, colored wax, ltd.
Frisbolice: Lots Of Lovin' 7inch, 45rpm, EP, PS, colored wax, ltd.
(2012/WOLFENSTEIN) 3 modern Rockabilly originals from Germany. Limited Edition (150) on orange marbeled vinyl. Article properties: Frisbolice: Lots Of Lovin' 7inch, 45rpm, EP, PS, colored wax, ltd. Album titlle: Lots Of Lovin' 7inch, 45rpm, EP, PS, colored wax, ltd. Customer evaluation for "Lots Of Lovin' 7inch, 45rpm, EP, PS, colored wax, ltd."